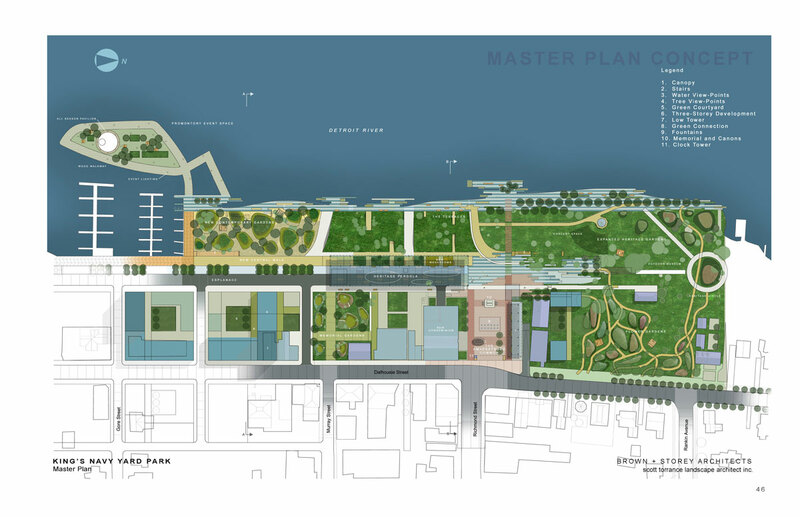 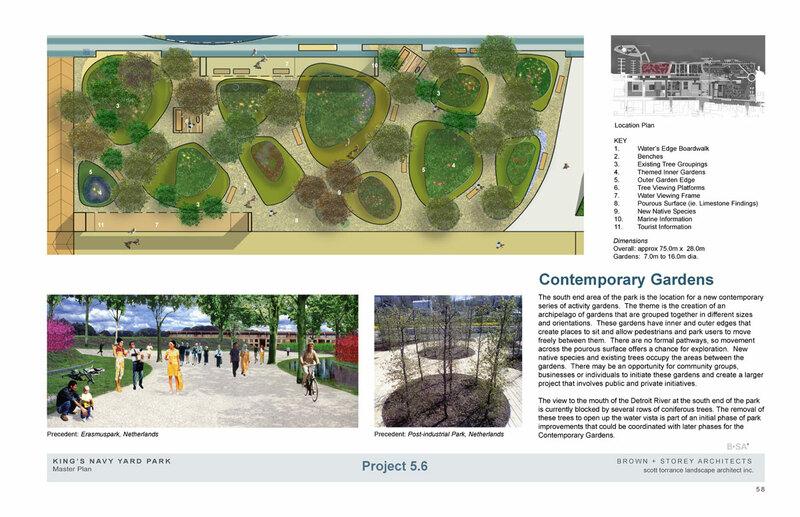 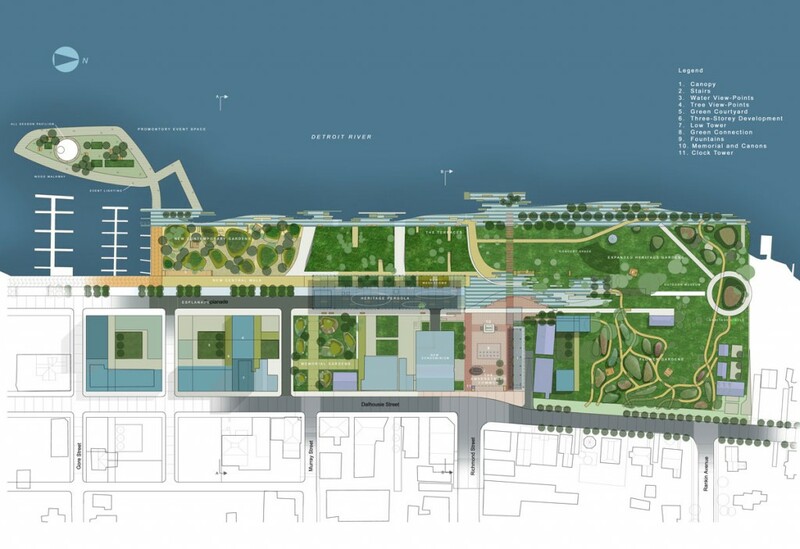 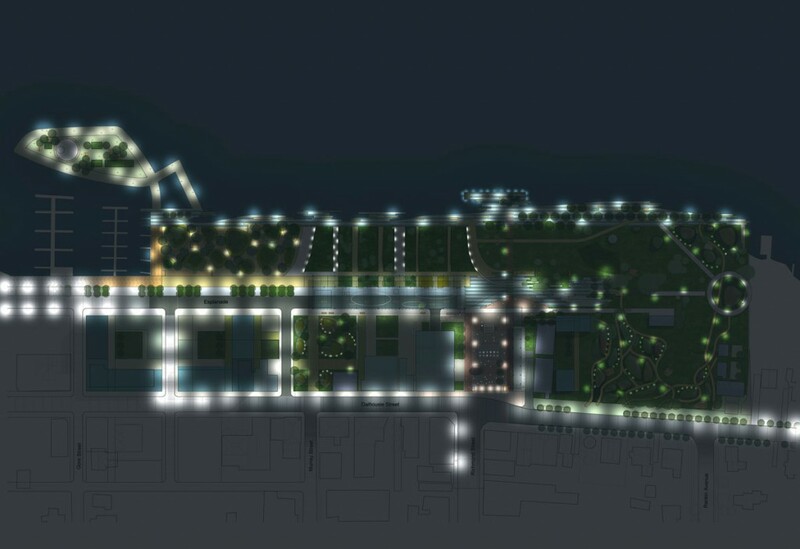 Rendered Master Plan for a revitalized King's Navy Yard Park. 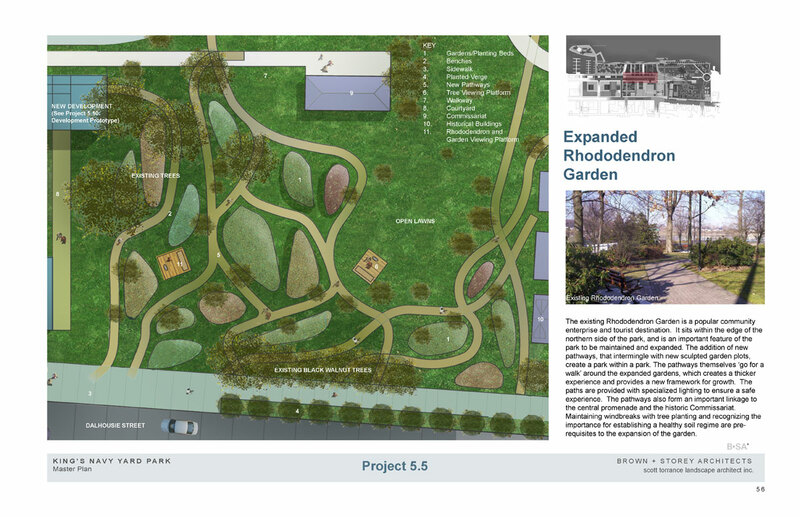 Aerial imagery of the current park. 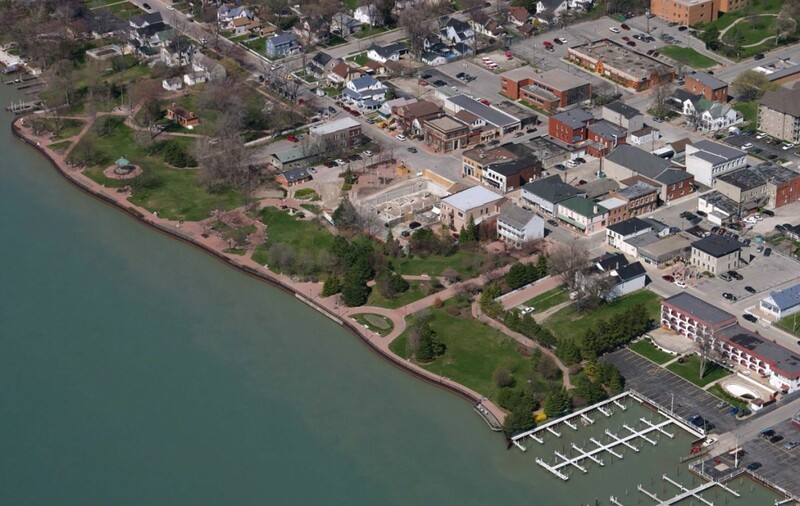 The town of Amherstburg and its historic fort Malden are located on the Detroit River at the extreme western edge of Ontario in the county of Essex. 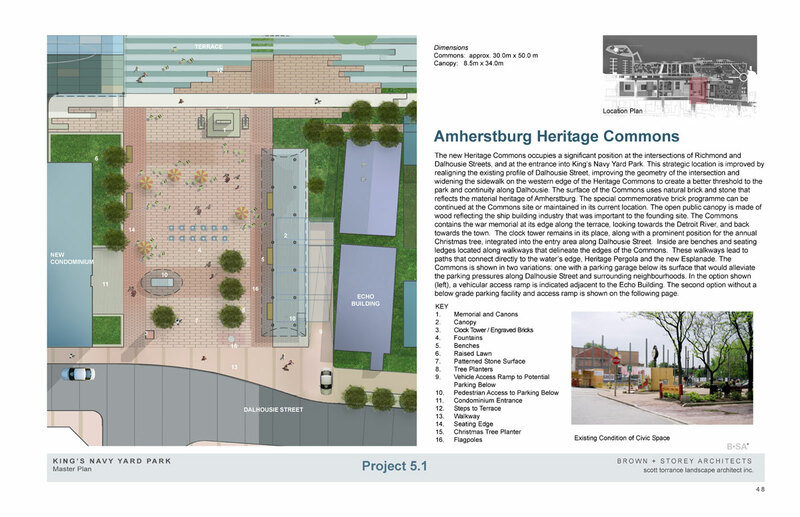 They long history of Amherstburg, with its involvement in the war of 1812, has meant that the town has enjoyed a natural tourist focus both locally and internationally. 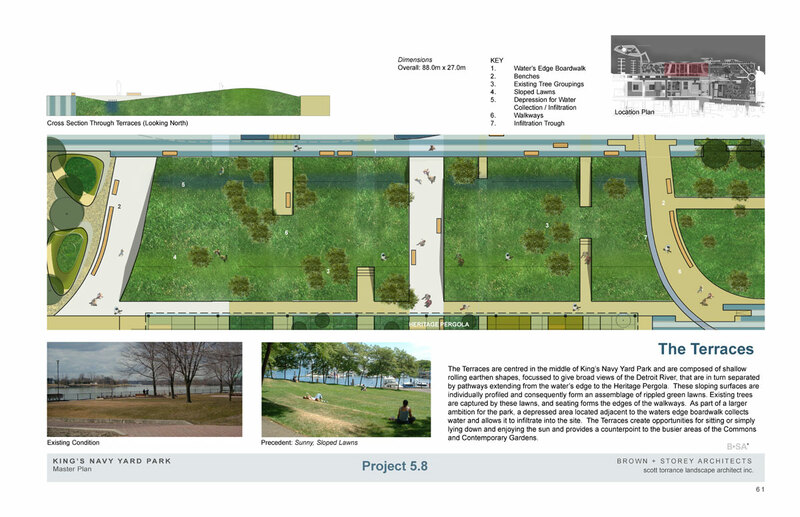 King’s Navy Yard Park is the focus for the town and its main street. 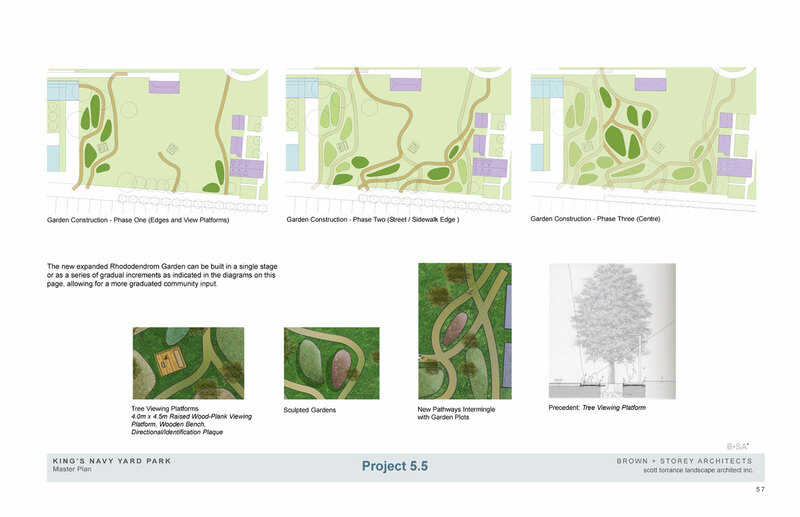 While the park has claimed its position on the water’s edge, a number of conflicting urban issues brought about the need for a new look at the park and a master plan that could evolve new potentials for both the town and the park. 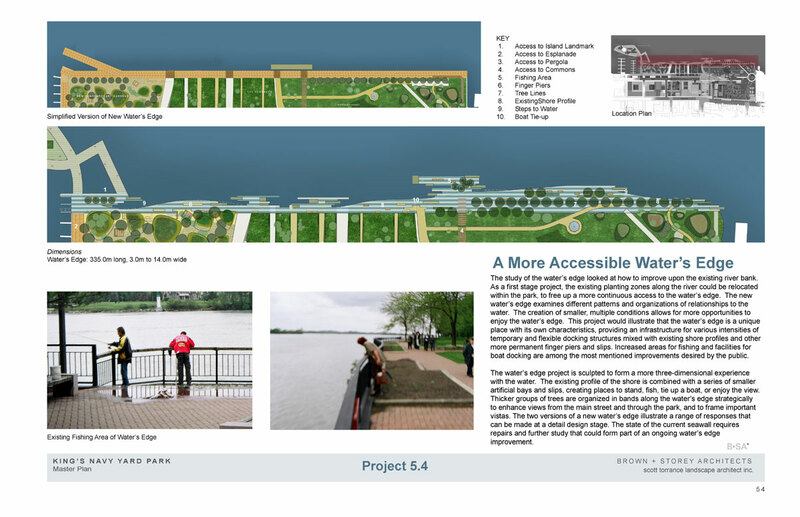 Brown+Storey Architects was commissioned by the Town of Amherstburg in 2006 to produce a master plan for future improvements to this waterfront park. 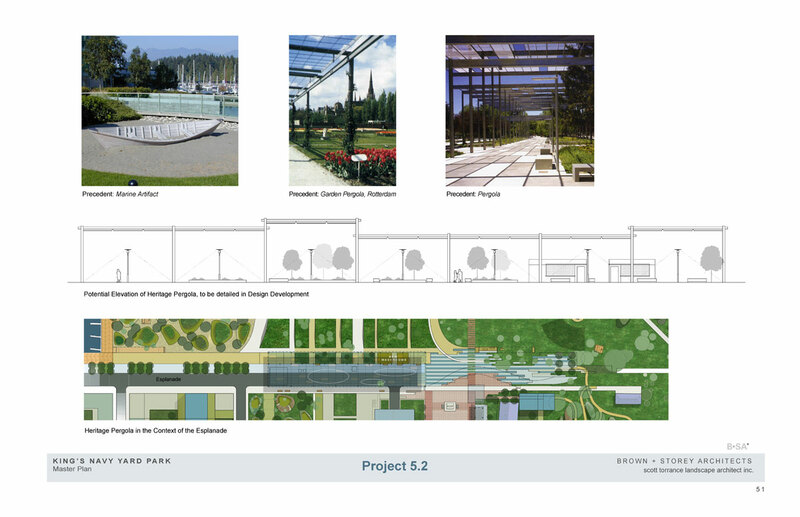 Proposed modifications to the park include improving access to the water along the edges, improved amenities such as a large open outdoor heritage pergola and a concentrated public commons. 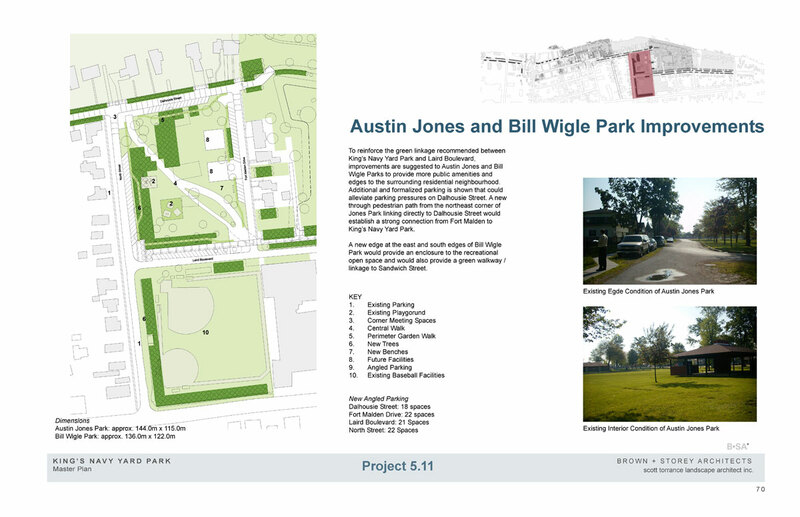 The towns many festivals and events require a greater diversity of spaces in the park that maintain and strengthen its current heritage, trees and gardens. 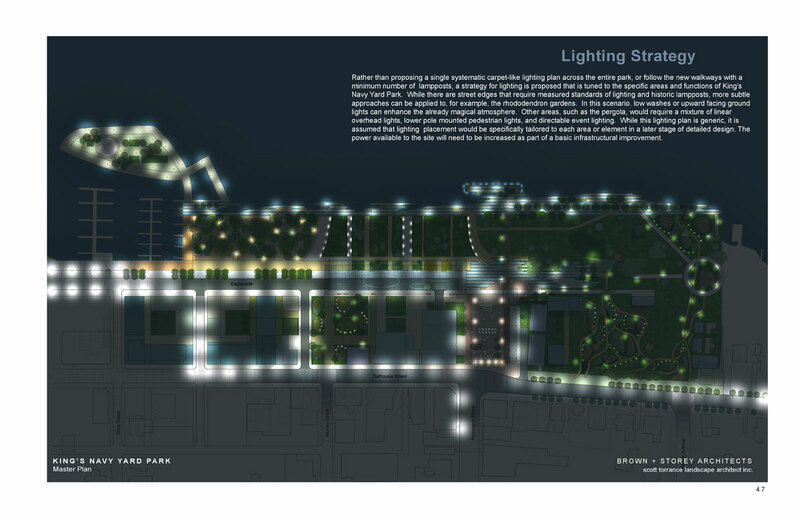 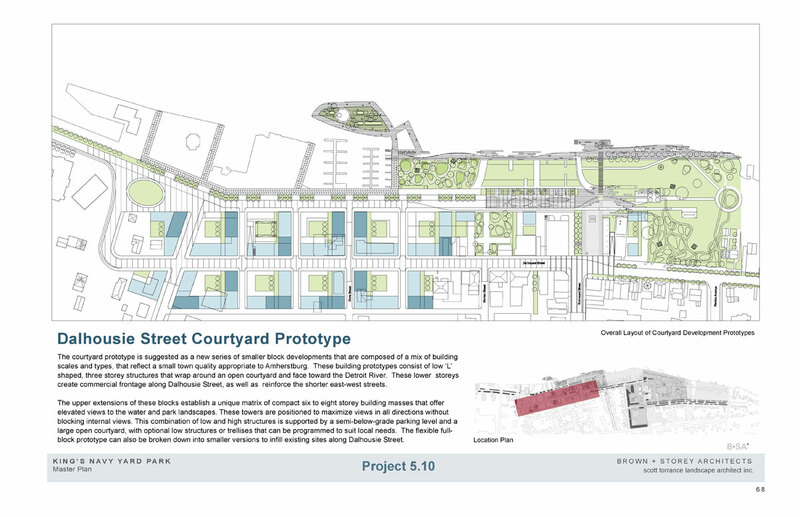 The master plan also identifies new green linkages that would reorganize existing parking and boulevards into a connected network of spaces that would include the large grounds of the existing fort. 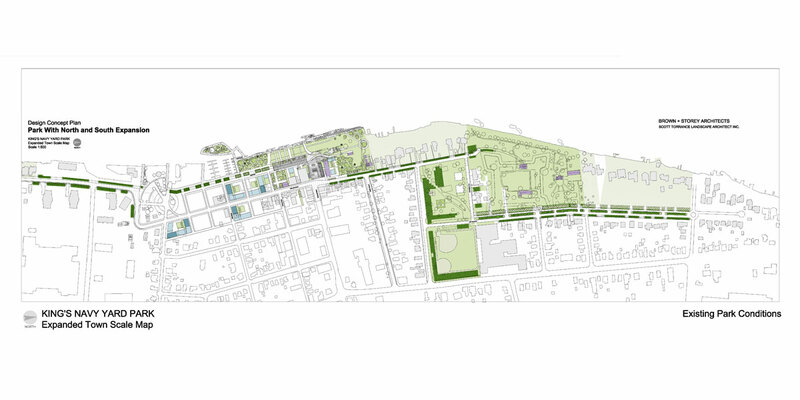 This gesture of greening reinforces and strengthens the town’s streets and infrastructure as well as establishing an opportunity for future growth and expansion.